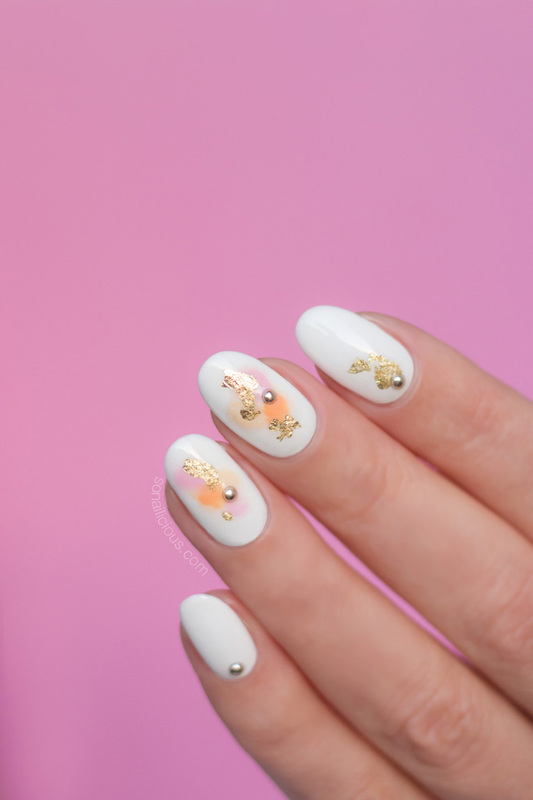 I love how this experiment with Watercolour nails turned out. So I’m sharing a step by step tutorial so you can try this new technique too. It’s fun, fast and unbelievably easy. You just need your imagination, a few pretty colours and gold foil.. 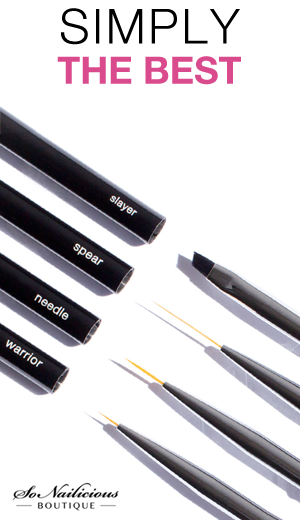 When I first reviewed the Mavala Delicate collection, I was inspired to do several designs . You can see the first here, today I’m showing you the second and there will be a third next week. 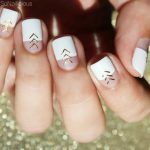 The nail art technique that I’m about to show you can be easily adapted for dozens of other nail designs in any colour you like. It’s spring in Australia so pastels make sense for me, but if you want to adapt this mani for colder weather just use dark colours. Now, without further ado, let’s see the how-to. 1. Apply 3 coats of white nail polish on all nails and apply 1 coat of a quick drying top coat. Let it all dry for 15-20 mins. 2. Work one nail at a time. 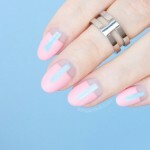 Apply light pink, orange and cream dots randomly in the middle of the nail. 3. 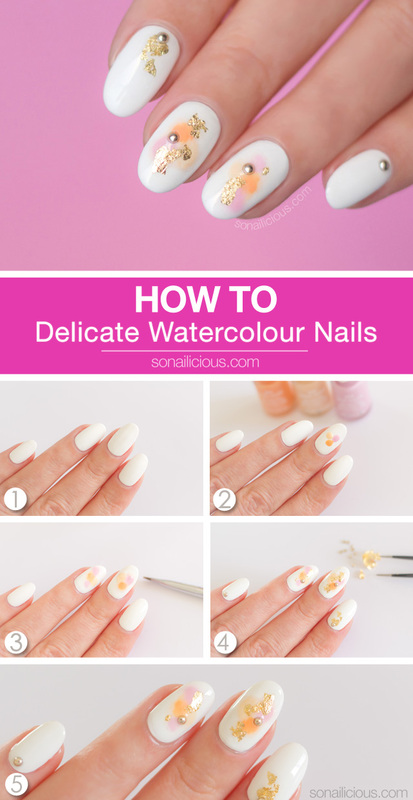 Saturate a flat wide nail art brush in acetone and drip it over the dots. Gently pat the surface of polish (without touching your nails) with a brush to help acetone to spread and wash out the colours. Repeat steps 2 and 3 on all nails. 4. Take gold flake foil and tear off a few tiny pieces using tweezers. 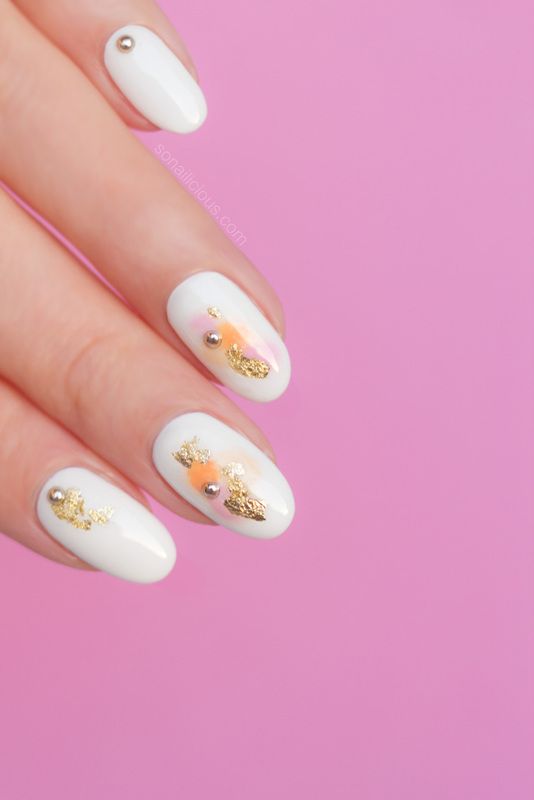 Using a detailing nail art brush, pick up the gold pieces and place randomly over each nail. Apply a couple of studs over the foil. 5. 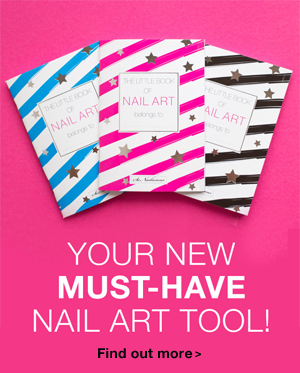 Finish your nail design with 2 coats of clear top coat. NOTE: step 1 is very important. 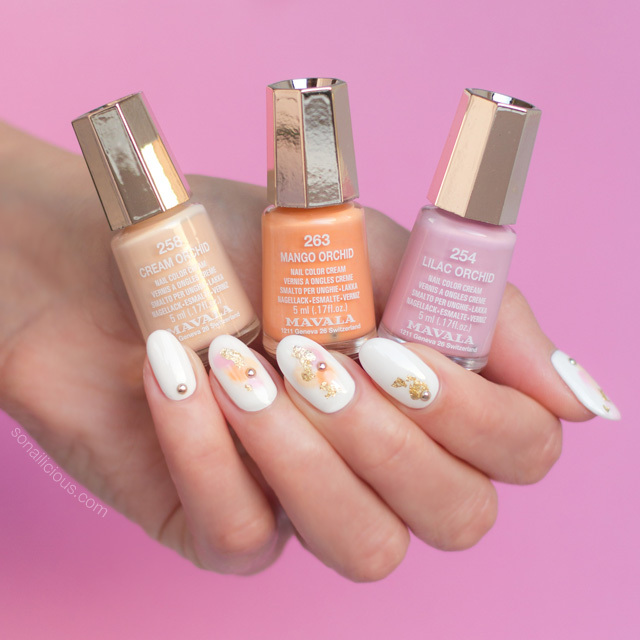 If you do not allow your nails to dry after applying the top coat, the acetone will dissolve through the base without creating the desired watercolor effect. 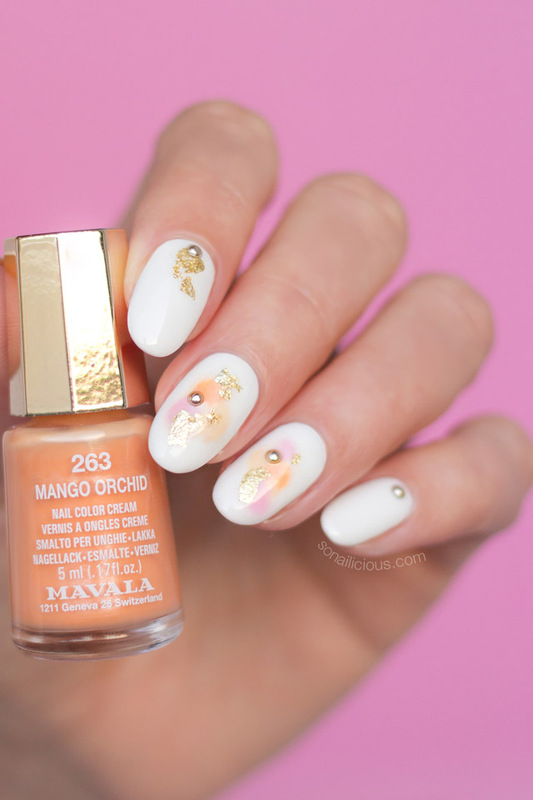 Hope this Watercolor nails how-to inspired you to try some new unusual nail art techniques and of course, the new Mavala nail colours! I can’t wait to see your version! Tweet or Instagram me a photo with the tag #sonailicious.